CA = findCoefficients(coeffs,RegionType,RegionID) returns the active coefficient assignment CA for the coefficients in the specified region. 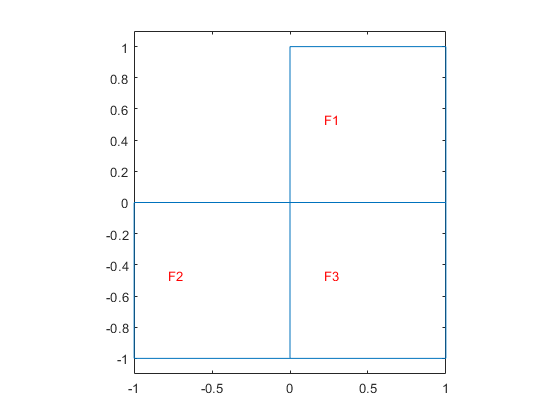 Set coefficients on each pair of regions. Check the coefficient specification for region 1. Model coefficients, specified as the EquationCoefficients property of a PDE model. Coefficients can be complex numbers. Geometric region type, specified as 'Face' for a 2-D model, or 'Cell' for a 3-D model. Coefficient assignment, returned as a CoefficientAssignment Properties object.